The two vintage pocket watches addressed here have model names dedicated to former US Presidents, both of whom unfortunately met their demise by assassination. The watches carry engraved signatures of the respective Presidents on the movements. 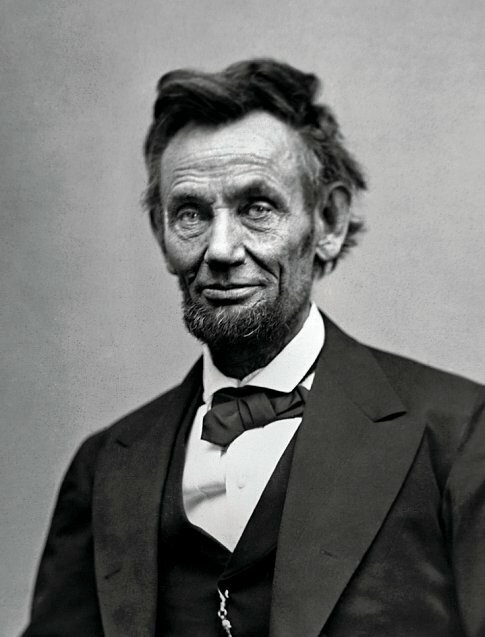 One of the most recognisable of the US Presidents – Abraham Lincoln. Lincoln served as the 16th President from 4 March 1861 up to his death on 15 April 1865 after being shot by an assassin. Lincoln’s links to the Illinois Watch Co. date back to him meeting John Todd Stuart in 1832 when they both served in the same battalion of the llinois Militia. They later became partners in a law firm in Springfield, Illinois from 1837 to 1841. Stuart later served as a member of the Illinois Senate from 1848 to 1852. He was also a cousin of Lincoln’s wife, Mary Todd Lincoln. John Stuart served as the first president of the Springfield Watch Co. which, after reorganisation, became the Illinois Watch Co. in 1878. Industrialist, Jacob Bunn, became president of the Illinois Watch Co. and was also a close friend of Lincoln. Bunn and his brother, Jacob, managed and largely financed Lincoln’s political career. Lincoln himself lived in Springfield, Illinois, and served as a member of the Illinois House of Representatives from 1834 to 1842. 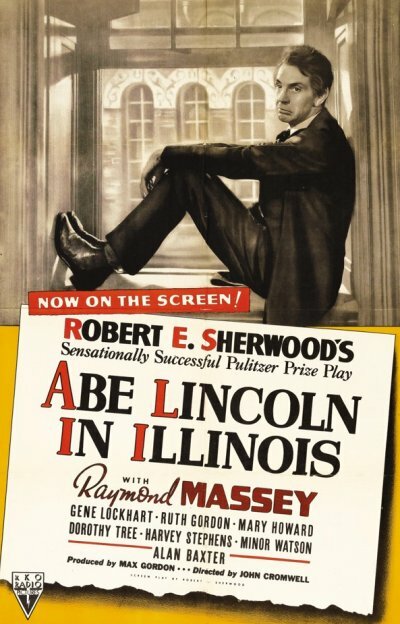 Therefore there were a very strong links between Lincoln and both the state of Illinois and the Illinois Watch Co. The company named a number of their movement grades after founders and prominent persons, thus you will find, “Stuart”, “Bunn Special”, and of course the “A. Lincoln” grades. Similarly to the Hamilton Watch Co., Illinois produced a range of quality pocket and wristwatches. In 1928 the Illinois company was purchased by Hamilton which closed the factory in 1931 with many of the Illinois workers transferring to Lancaster, Pennsylvania, to work in the Hamilton factory. Hamilton continued to use the Illinois name on a line of watches into the 1950s, at least, but positioned the brand on a lower tier than their own-name watches. 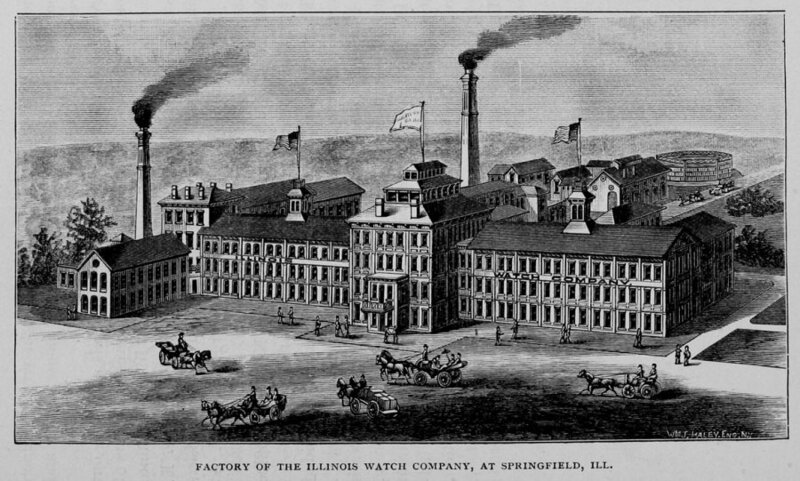 Lithograph of the Illinois watch factory, Springfield, Illinois, circa 1889. Here’s the watch in question. It’s a 1926 Illinois 12 size 3rd Model, Grade 527 Extra Thin, A. Lincoln. 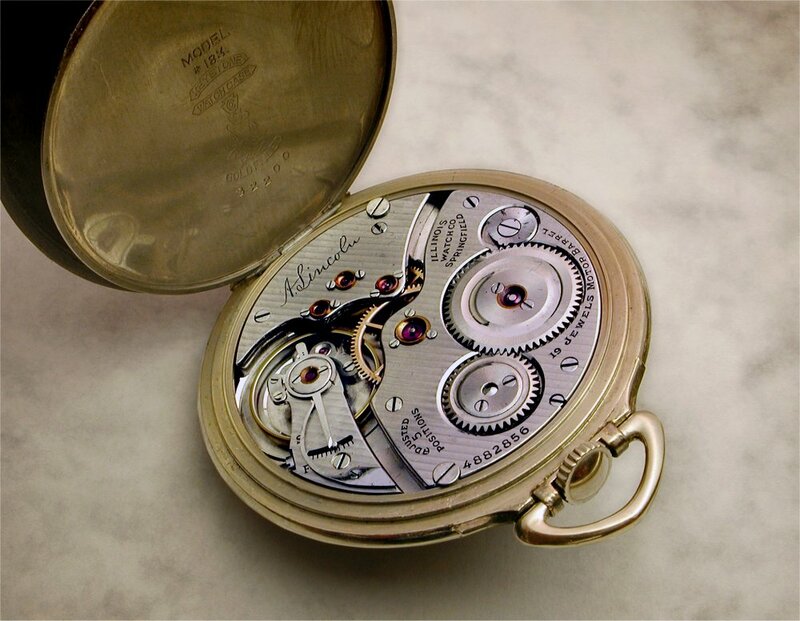 The thin-ish movement allowed a flatter watch than many other 12 size movements. Add the embossed 14k gold-filled Keystone case and fancy metal dial and you have a very nice, easily carried, gentleman’s watch. The Grade 527 Extra Thin is a 19 jewel movement with jeweled motor barrel and adjusted to 5 positions, with a with a nickel damascened finish. Around 18,500 examples of the movement were produced from 1920 to 1927. All-in-all a very good, high quality, piece. 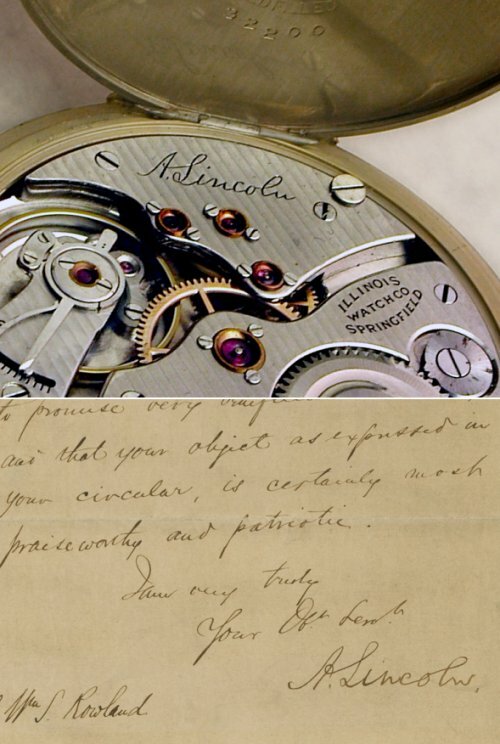 Below you can see a comparison of the signature engraved on the movement with a known example of Lincoln’s signature from 1863. It appears to be a good facsimile. 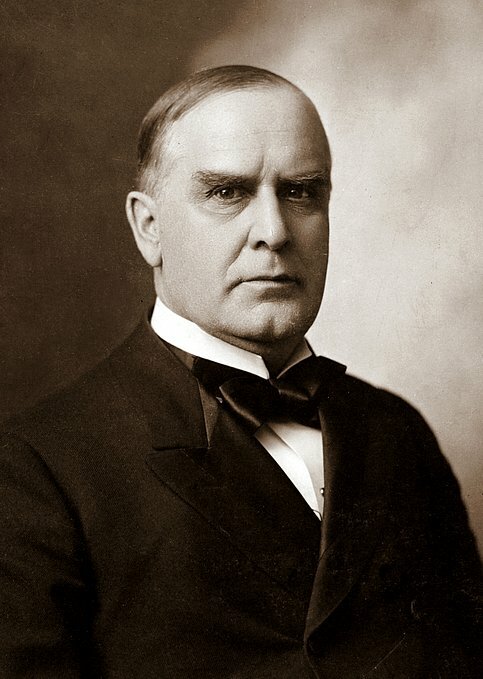 This stern-looking fellow is William McKinley, the 25th President of the United States of America. McKinley served as President from 4 March 1897 until his death on 14 September 1901 after being shot by an assassin. 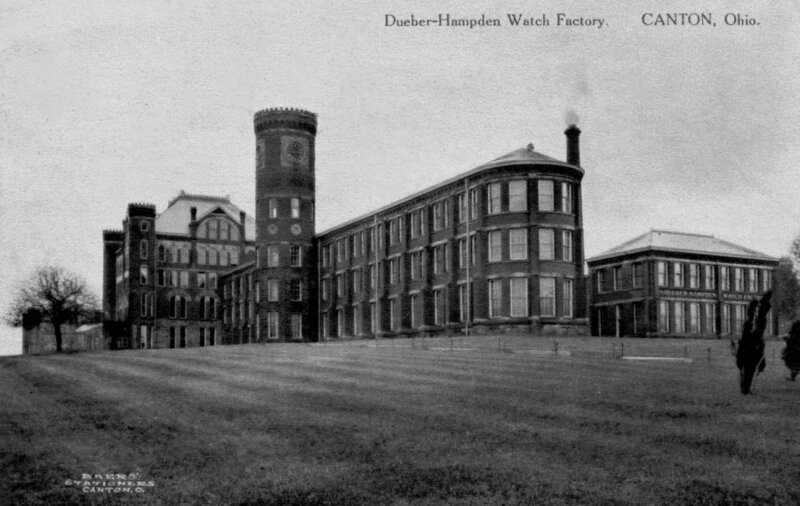 John C. Deuber had formed the Dueber Watch Case Co., Cincinnati, Ohio, in 1864, producing cases over the next decades for various watch companies including the Hampden Watch Co. of Springfield, Massachusetts. With a very successful case making business, Deuber refused to join the Watch Trust in setting standardised watch case pricing. He was against the formation of monopolies, (and perhaps felt his own business could do better alone). This action resulted in Deuber being boycotted by major watch companies. 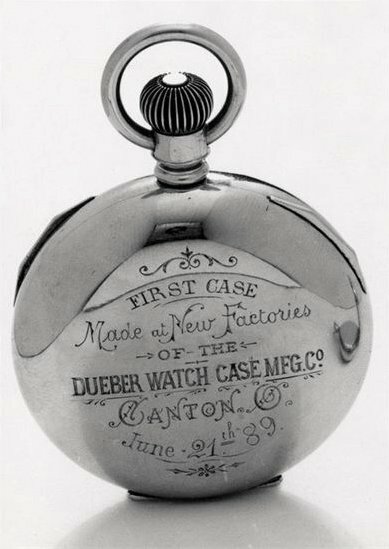 Anti-trust laws enacted in 1890 under McKinley’s Presidency would address such issues, but in order to compete Dueber purchased the Hampden Watch Co. and built a new dual purpose facility in Canton, Ohio in 1886 – the Dueber-Hampden watch factory – which allowed him to produce cased watches. John Deuber sold the company in 1925 and by 1927 it was in financial difficulties and went into receivership. In 1930 the watchmaking machinery, equipment and much material was purchased by the Russian government via the Amtorg Trading Corporation. This was shipped to Moscow to form the basis for the First State Watch Factory, (later the First Moscow Watch Factory, to later become Poljot). A small number of Hampden specialist personnel moved to Moscow for up to a year to assist in setting up the operation and train the Russian workers. Some of the early movements from the factory were based on Hampden designs. Photo of the Deuber-Hampden watch factory, late-1880s. William McKinley, a lawyer by profession, was nominated for Ohio’s 17th Congressional District and took his seat in Congress in 1877. Rising in politics he ran for Governor of Ohio and won the election in 1891. McKinley ran for the US Presidency successfully in 1897, succeeding Grover Cleveland. 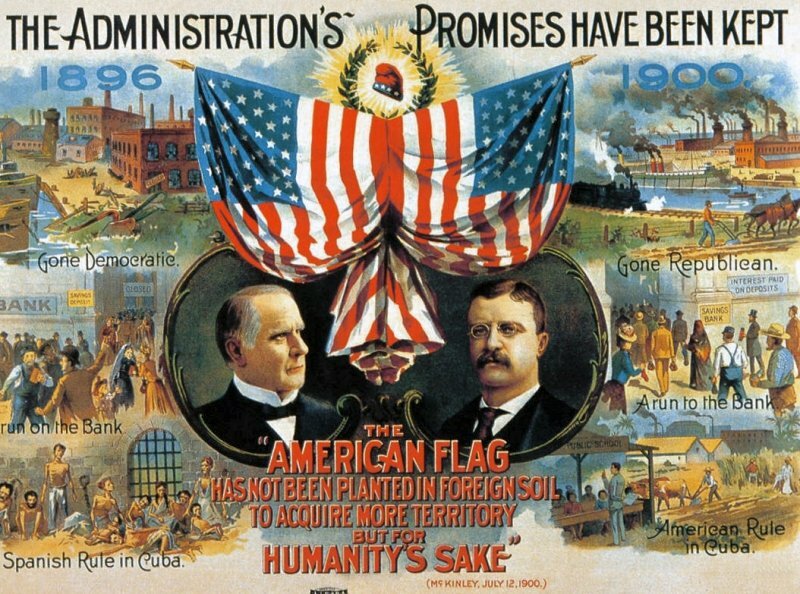 The 1900 Republican re-election campaign poster below shows President William McKinley on the left with his Vice-Presidental candidate Theodore Roosevelt on the right. The poster compares the state of the nation prior to McKinley taking office on the left, and how it stood under his leadership in 1900 on the right. McKinley would be killed shortly into his 2nd term as President and would be succeeded by Roosevelt. During his time as a congressman in Ohio the influx of workers and business to the state due to the establishment of the Deuber-Hampden factory in Canton had not gone unnoticed by McKinley. He sent a congratulatory telegram to John Deuber and the two later became good friends. When operations commenced in 1888 the company held a large ceremony at which Congressman McKinley addressed the workers and guests. Following the death of the President in 1901 McKinley’s family appointed John Dueber to act as a pallbearer at the funeral. 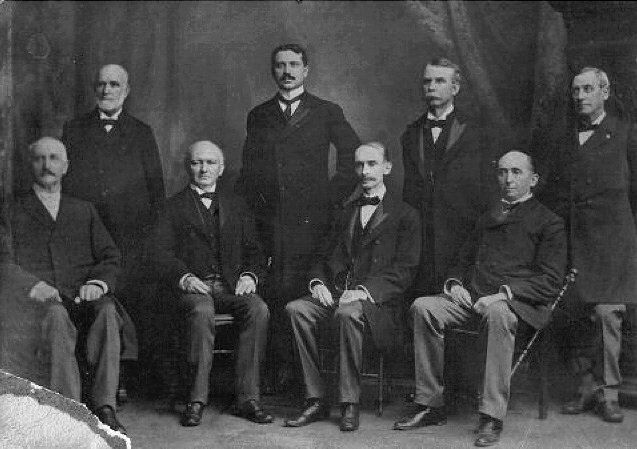 The image below shows the pallbearers with John Deuber seated at the right. The Hampden Wm. McKinley movement in this watch was made in 1916, a product of the Dueber-Hampden factory. The watch has a double sunk enamel dial and blued hands. Hampden introduced the Wm. 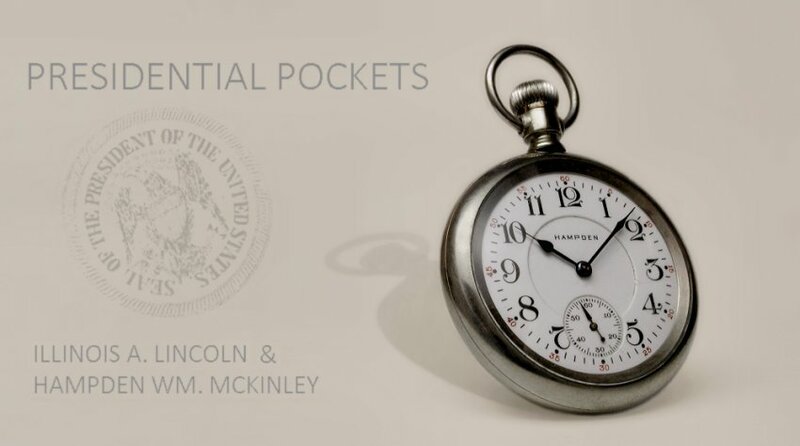 McKinley 16 size watches in 1902, approximately a year after the President’s assassination. The 16 size 5th Model Wm. McKinley movement. This is a 17 jewel movement with nickel damascening and was a mid-grade movement for Hampden, the majority being adjusted only for temperature & isochronism as per this example. Hampden also made a 21 jewel version adjusted for positions that was accepted for railroad use. 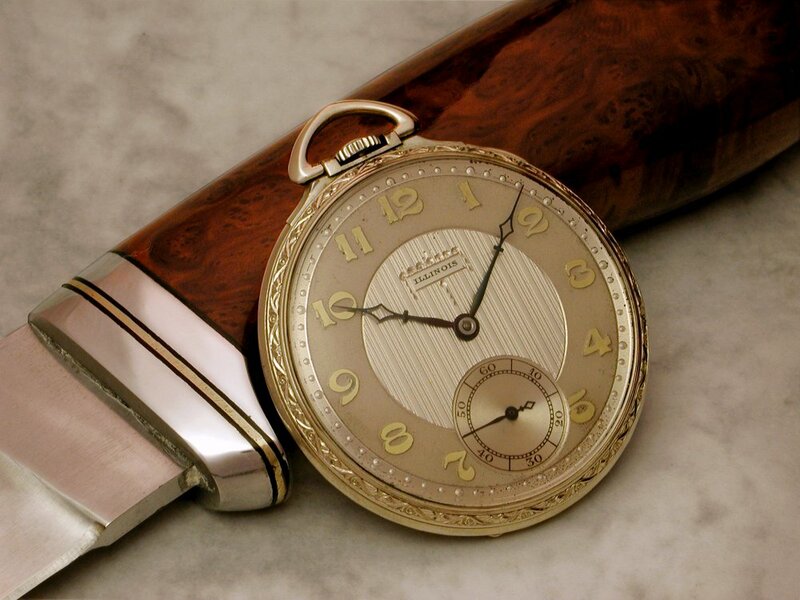 The nickel swing-out watch case carries the star & crescent moon trade mark of the Crescent Watch Case Co. It would be natural to assume a Hampden movement would have been cased in a Deuber case, and indeed the early Wm. McKinley watches apparently were sold only cased-up in factory cases. However, later on the Wm. 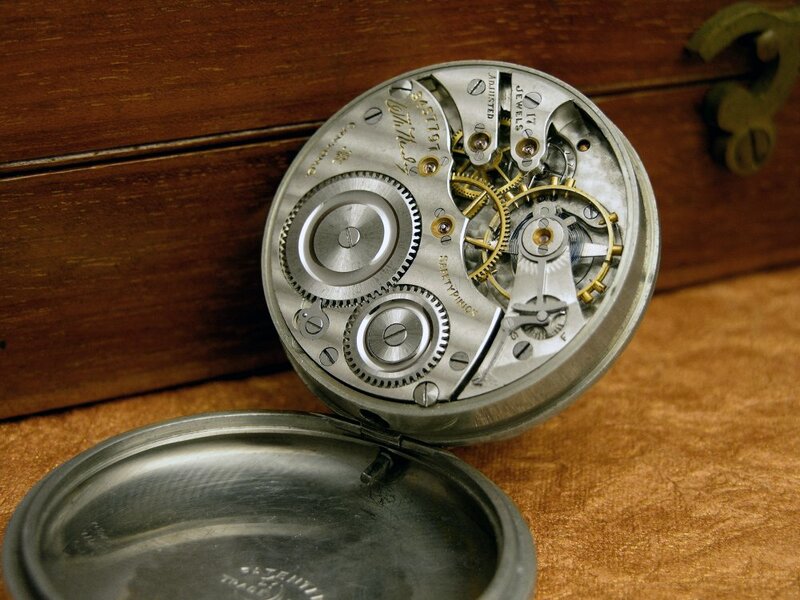 McKinley movements were made available separately in catalogues and it may be that this movement was obtained in that way and cased-up in this Crescent case. 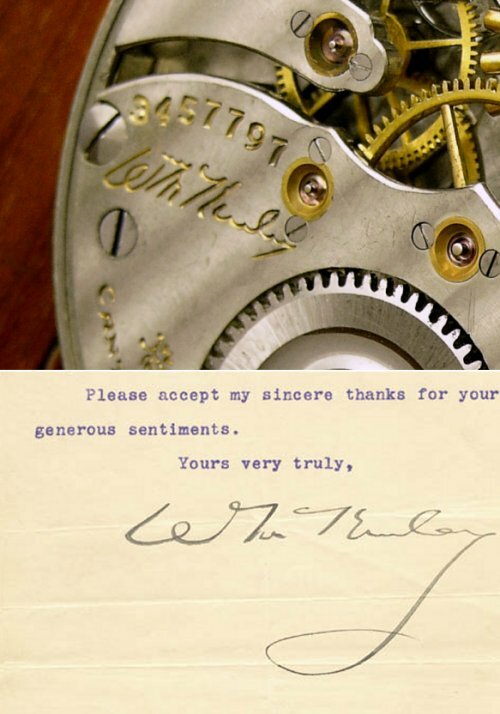 Below I compare the signature engraved on the movement with a known sample of McKinley’s signature from 1896. Apart from truncating the tail of the “Y” it appears to be quite a faithful facsimile. Illinois A. Lincoln watch owned by TomG. 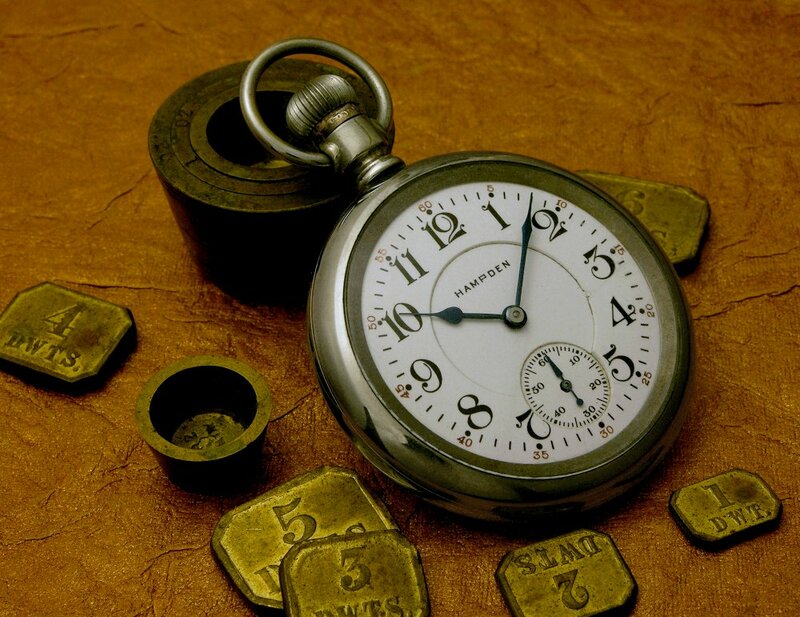 Beyond Springfield & Moscow – The remarkable story of Hampden watches.